Queue Viewer helps you manage and view RabbitMQ messages in queues. The key benefit of Queue Viewer compared to the Management Plugin is that it allows you to operate on selected RabbitMQ messages instead of all messages in a queue. 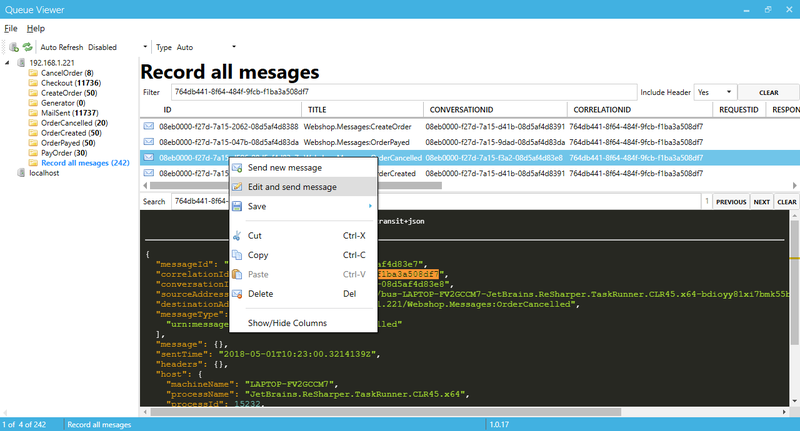 You can move, delete and send single or multiple messages at the same time and you can work with several servers, allowing you to debug and trace different environments locally. Test different scenarios by editing an exisitng message. Testers can easly create mesasge templates to test the consumers. 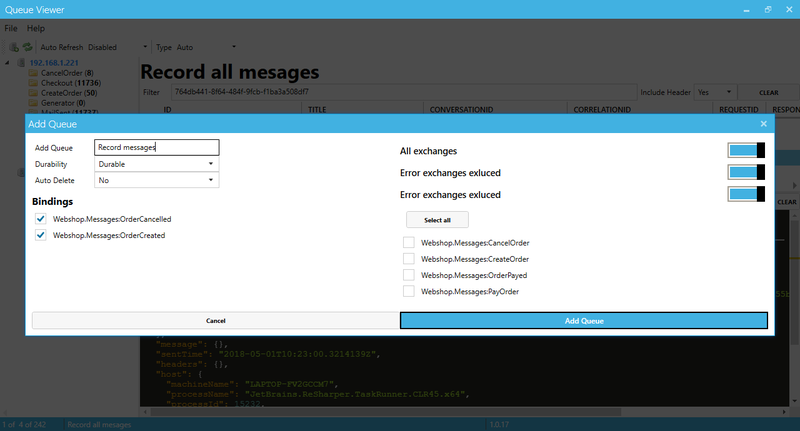 Create new queues and bind them to exchanges in order to view messages sent. This is a key benefit of RabbitMQ over MSMQ where you can consume a message and later view it in order to unserstand why the code is behaving the way it is. 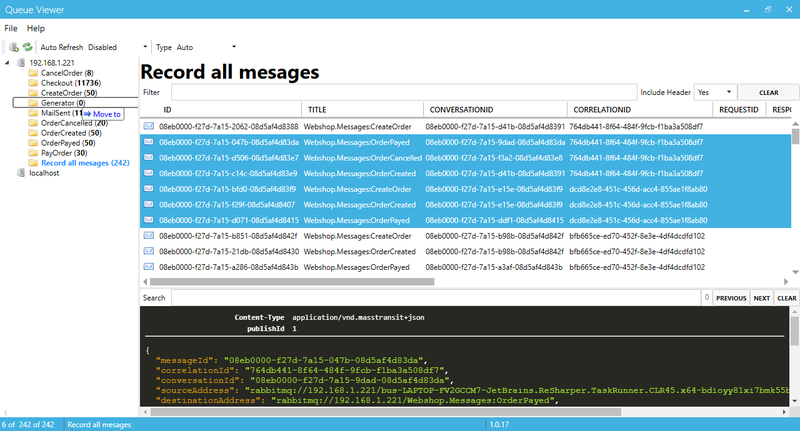 Select the mesages you want to handle and move them to different queues and servers. Show MassTransit specfic meta data in data grid. Search and filter within all mesasges in a queue. Highlighted search within a message.